You’ll want to take measurements of your shoulder span, your waist and your hips. This will assure that you wont make the pattern to small because you’ll be pretty sad if you do. I own a dress form which allows for me to pin and measure on it, but if you don’t have one you have to make sure you stay exact to your measurements. 2. For the armholes, make sure that you pattern them in a large semi-circle for each piece since the sleeves are traditional box sleeves. My armholes were about 11 inches per semi-circle. For the length of the dress I measured it to be about 5ft and 5 in so that it would be slightly shorter than my actual height. The front and back piece are the same pattern so that it will flare out evenly around the entire dress. 3. The sleeves will essentially be a rectangle. Mine were 22x25in to match up with the 11 inches for each side of the armhole and my arms are a bit over 25 inches long. Sorry I don’t have a picture my phone was dead, but basically you just match up the 22in side of the sleeve to the armhole an then hem it up. 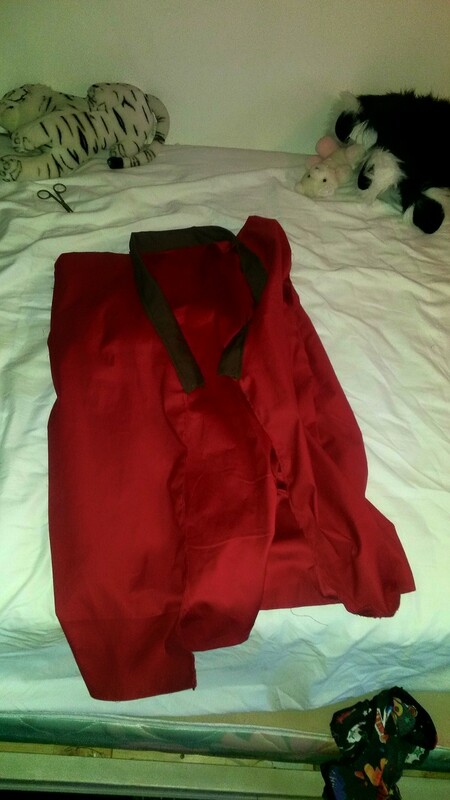 When you sew the sides together you will come out with a relatively baggy and movable under dress. Remember, Yona is running around in forests and the moveability of the dress is really important which is why its not made to be form fitting. If you’re worried about looking like a child in an oversized nightgown, the tunic will fix that problem for you later. 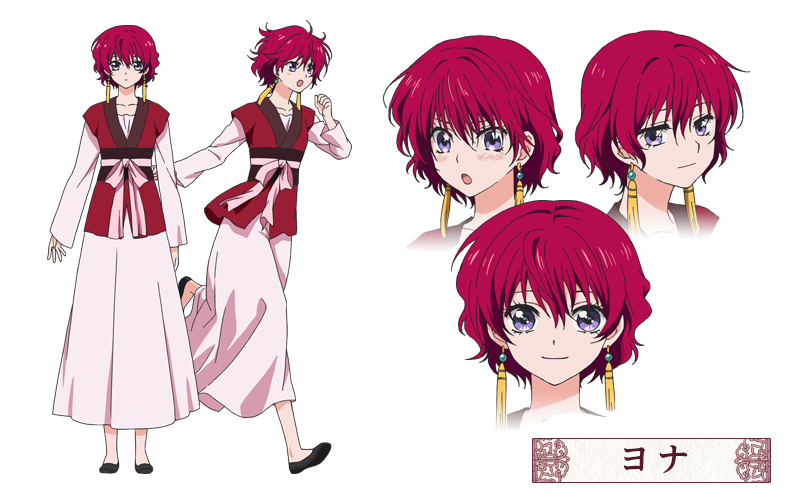 Yona’s tunic is actually a more modern and loose version of the female Korean Hanbok. Its more loose and extended than the traditional pattern but its essentially the same thing. 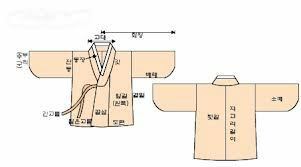 One of the main differences is that Yona’s hanbok does not have the traditional tie and comes out to look more like a tunic because of this. The piece on the left/ top of the picture is the back piece. You will want to put it along the fold so that it makes two of them without needing a sew line in the back. For the right/ bottom pieces you want two of them. 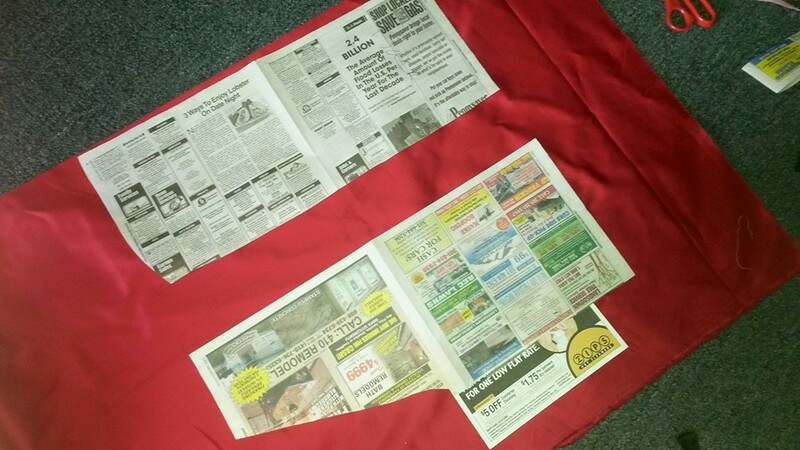 You want one with the extra newspaper (shorter piece) and one without. 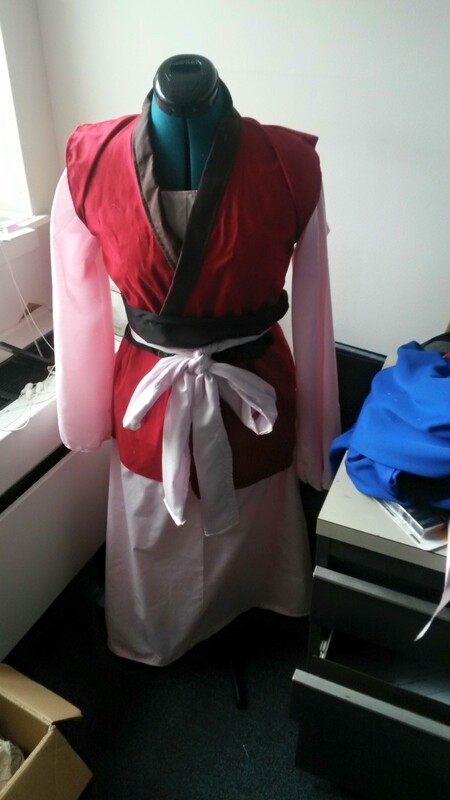 One of the pieces needs to be longer than the other so that it can cross over like the traditional hanbok. 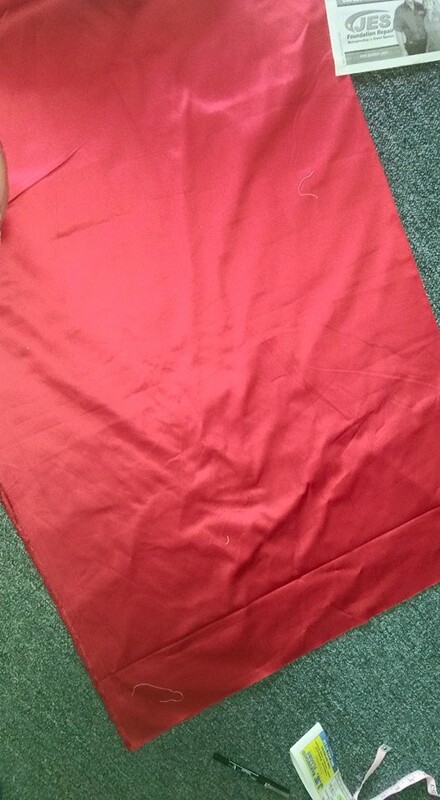 I choose a particularly thick red cotton that wasn’t see through at all. Its a bit more expensive but you really want this part to look nice. 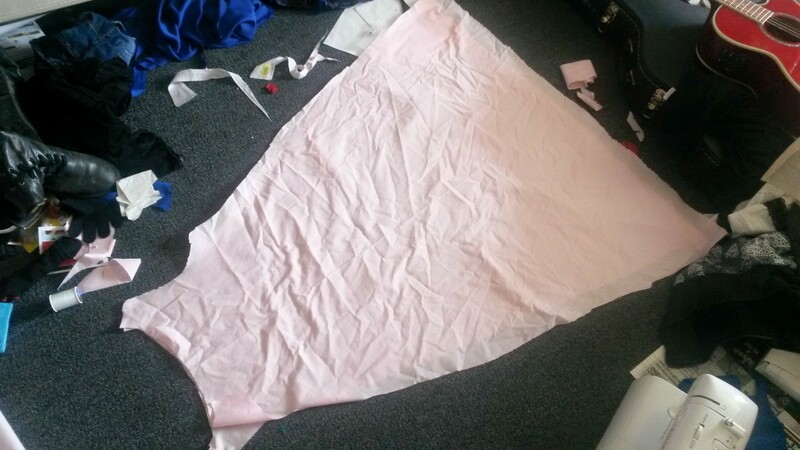 After you cut out the pieces you will want to line them up and sew them together. Make sure to hide the seam line! You will also want to leave an opening where your arms will come through and hem it up later. 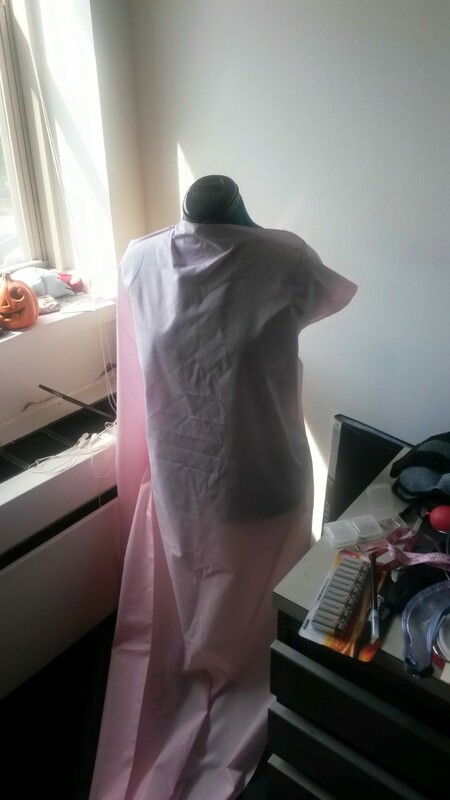 Once you have sewn the three pieces together, line the neck with brown fabric and hem the bottom and the shoulders. 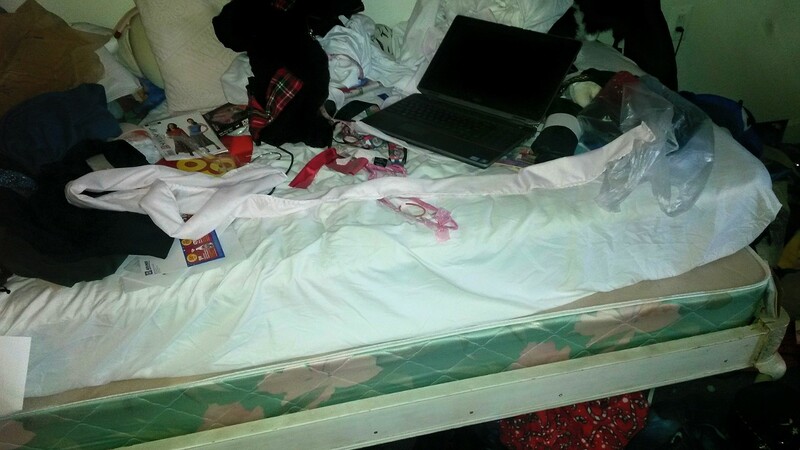 The sash is the easiest part. 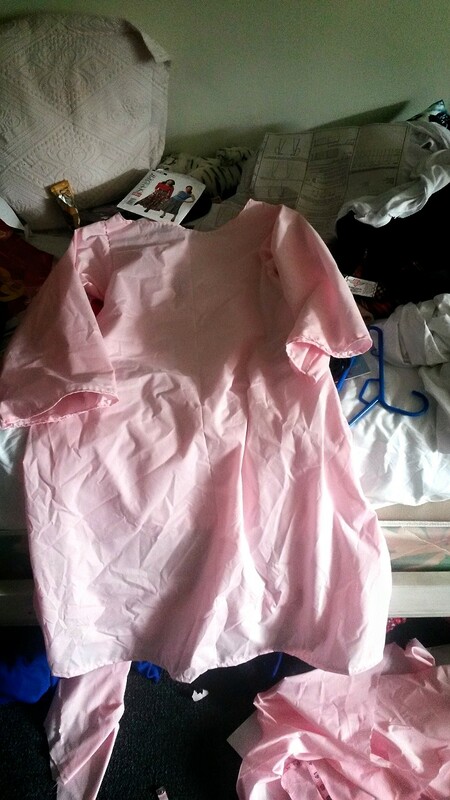 I chose a really cheap fabric for it and folded it over itself three times for the thick look. 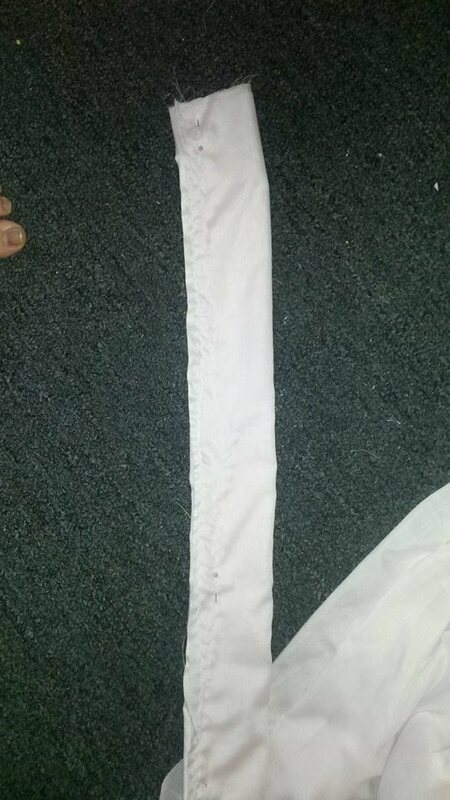 It was about 3 yds long all together for the sash. I hemmed the edges of about 3/4 yd of black fabric for the middle black cincher. I love Yona, and this is awesome:)!! I’m glad you liked it! 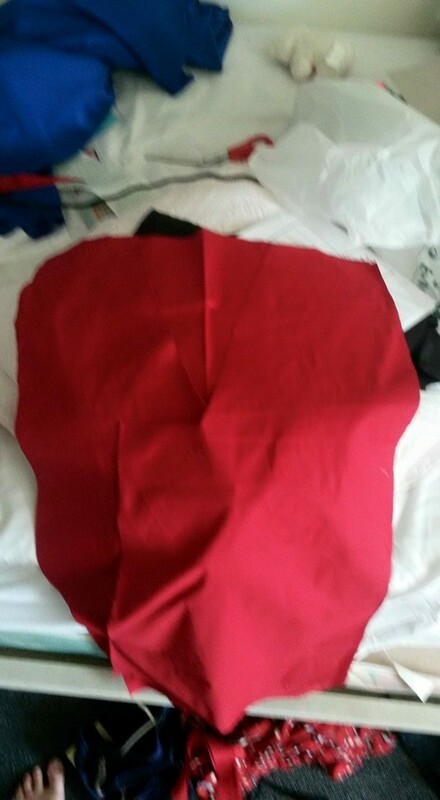 I’ll also be putting one up for Hak soon for how I made his costume and glaive if you’re interested in seeing that one as well! I used Velcro on the back two straps so that I could easily take it on and off. I would recommend either having someone velcro it evenly in the back for you or velcro it in the front and then twist it around to the back so no one sees it.